OKLAHOMA CITY -- The game ended with Michigan's star still on third base, which is part of the story. That it ended with Florida's star still in the dugout is the rest of it. In search of a national championship that would match what only college softball's great dynasties, Arizona and UCLA, did before by winning it all in successive seasons, Florida did something no team but it had attempted at this stage of the tournament. The Gators handed the ball to two people who hadn't thrown a pitch in competition in weeks. Florida didn't hesitate to trust its pitching staff, starting freshman Aleshia Ocasio who hadn't thrown a pitch in competition in weeks. It worked because freshman Aleshia Ocasio, who started Game 1 of the best-of-three series, and sophomore Delanie Gourley, who finished it, are good enough to be aces on championship-caliber teams, and because they threw the pitches that proved it under the pressure of the moment and in front of the biggest crowd ever to watch a championship round game at ASA Hall of Fame Stadium that didn't involve local favorite Oklahoma. 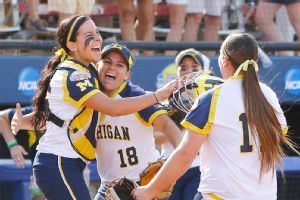 It also worked because a few feet away from where Florida ace Lauren Haeger stood and watched in the dugout, Michigan's Sierra Romero, not only one of the best but also one of the boldest players in college softball, hesitated for the briefest of moments. After a 3-2 win, the Gators are one win from keeping the trophy in Gainesville. 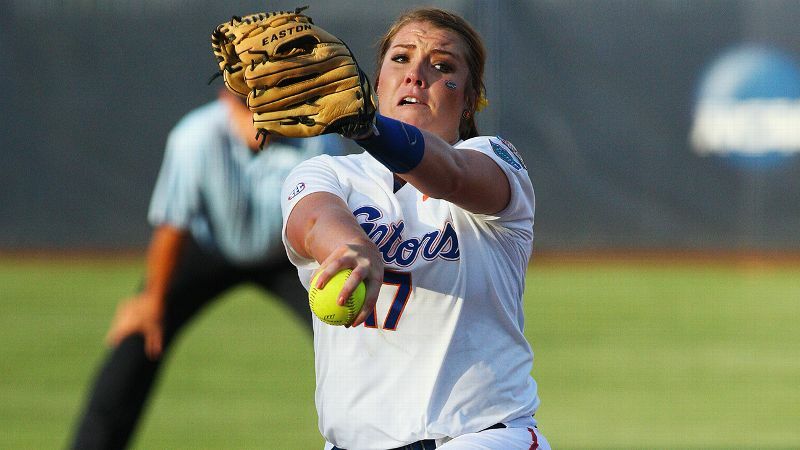 With the security of a one-game lead at this stage a season ago, Florida didn't start ace Hannah Rogers in the second game of the championship series after she had thrown every pitch for the Gators to that point in the World Series. In the same position a season earlier, Oklahoma gave the ball to Michelle Gascoigne and let national player of the year Keilani Ricketts focus on hitting for the night. 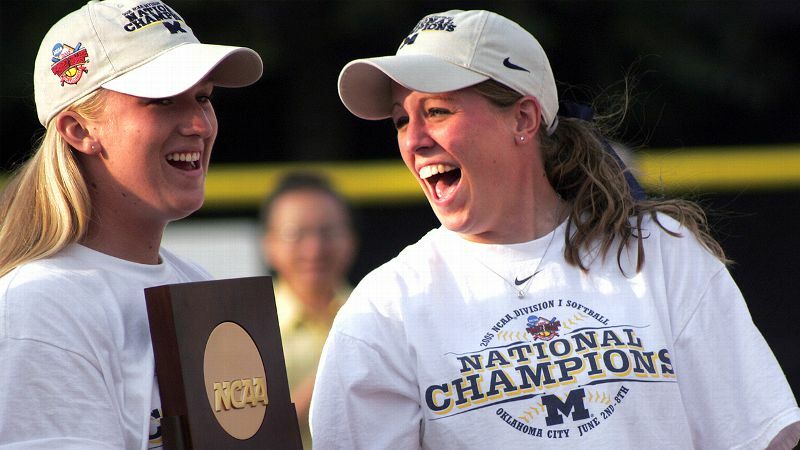 But never since the tournament expanded to a best-of-three championship format and added super regionals in 2005 had a team started a pitcher in the opener of the championship series who hadn't thrown an inning in the World Series or super regional. Let alone a freshman who fit that description. No team had done it until Monday, that is. "What we were able to do last year obviously helps me because of making the right decision, knowing what's right for our program," Florida coach Tim Walton said. "The last two seasons, we've really just talked about trying to create a good pitching staff. And we've been able to get Aleshia some quality innings in the SEC and have her matched up against some quality opponents preseason, the same with Delanie. I think that was the key. "Lauren could have pitched tonight, but we thought to ourselves, if she doesn't pitch well, then what? At least, win or lose, we still have Lauren Haeger to go to over the next couple of days if we need to." Walton went on to say that after Haeger threw 160 pitches in a nine-inning complete game against Auburn on Sunday, there was no reason to "extend her on short rest." In a stadium where just eight years ago Arizona's Taryne Mowatt threw 1,035 pitches and 60 innings over seven days, concern about short rest is foreign concept. This isn't what championship softball looked like in the past. It may be the future. It is the present for Florida. It looked for a time Monday as if Haeger might be both Babe Ruth and Wally Pipp all in one evening. 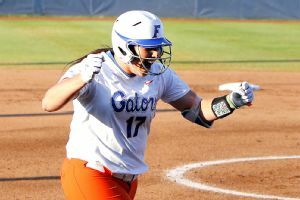 Her first-inning home run at the end of a 12-pitch at-bat in which she fouled off seven consecutive pitches against Michigan starter Megan Betsa staked Ocasio to an early lead and effectively wrapped up Most Outstanding Player honors should Florida go on to win it all. Haeger's double in defiance of Michigan's defensive positioning then increased the lead to 3-0 in the third inning. But entering the sixth inning, her pitching replacement had a 0.00 ERA in 16 innings this season against Michigan, including her first college start. The rest of the nation's ERA against the NCAA's second-most prolific offense was 9.23. "She has some dirty stuff," Haeger said of Ocasio. "And I envy her for that because I don't have that. And I was just trying to pump her up [before the game], get her confident, tell her that she is good enough and that we are going to need her to go out there and shut them down like she did." In assessing his three potential replacements for Rogers in the preseason, Walton talked about Ocasio as someone with a bright future but someone who was still far from a finished product. But she was finished enough to start against Michigan on Feb. 7, as well as a host of other national powers even before SEC play arrived. And she was good enough to start against Michigan again on June 1. Lauren Haeger's first-inning home run at the end of a 12-pitch at-bat in which she fouled off seven consecutive pitches staked Aleshia Ocasio to an early lead. "Raw was probably the word that I probably saw out of her the most when I first looked at her," Walton said. "She's real raw, but she has got so much upside. When she gets her rise ball mastered and she gets the drop ball mastered, it will be really tough to hit her down the road because that rise ball is really, really good. And it's different speeds. When we get it throw it harder and when we get it to throw it slower, she's going to be really tough to beat when she kind of masters her command a little bit." Yet Michigan would not go meekly into the Oklahoma night. It finally got to Ocasio in the sixth inning when it loaded the bases on a single, hit batter and walk and cut the deficit to one run after Abby Ramirez delivered a two-out single from the ninth spot in the batting order. Still the Gators stuck with Ocasio for the final out. But after the other eight field players had taken the field for the top of the seventh inning, Gourley emerged from the dugout for the first time since the SEC tournament nearly four weeks prior. 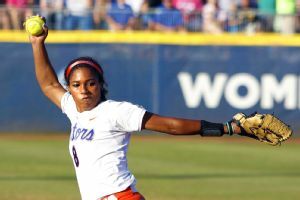 With three left-handed batters in a row due up after Romero to lead off the inning, the left-handed reliever was the smart choice for Florida to play situational softball. No matter that no one ever does it here. Gourley's save is just the second in the history of the best-of-three championship series. Rogers got the first when Florida a season ago also became the first team to win a game in the final round while using three pitchers. In fact, in the first 32 years of the Women's College World Series, there was one save in the championship round. Florida has one in each of its past two championship-round games. This isn't revolution as much as evolution. To repeat, Ocasio hadn't pitched since the regional opener against Florida A&M, Gourley a week before that in the SEC tournament. Florida followed a hot hand with Haeger just like every other team does in the postseason. But for the second season in a row, with the safe option to do what all of his predecessors did and let his team's fortunes rise or fall with his ace, Walton gambled on the talent of the players he recruited and the culture they shape. "You've got to deal with the personalities a little bit because each one of these three up here could be a No. 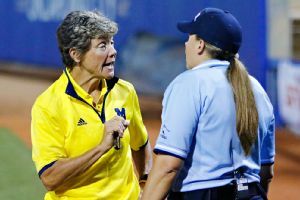 1 pitcher at a lot of places," Walton said when flanked by Haeger, Ocasio and Gourley after the game. "And each of these pitchers have been a No. 1 pitcher probably even through this season, to be honest with you. 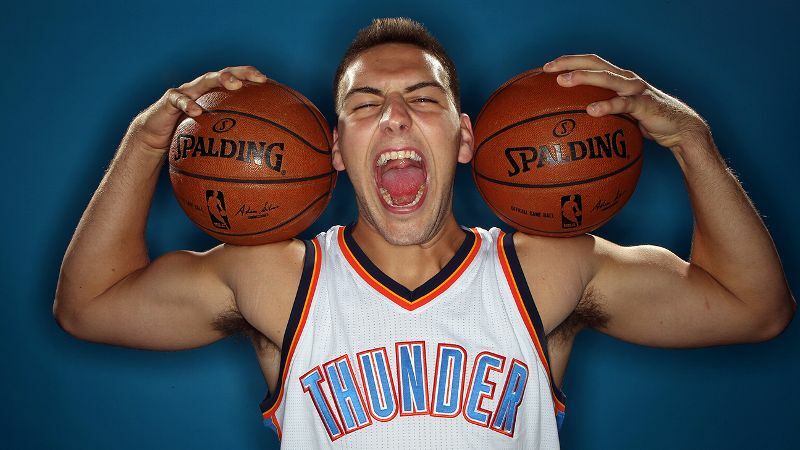 I think we work really hard on the character and team-building side of our program." For all of that, on a night when Gourley's save came not long after her mother was among the multitude of cancer survivors honored on the field in Oklahoma City, the margins are so small at this time of year that it nearly got away from the Gators. Gourley walked Romero to start the seventh. A passed ball moved her to second base. 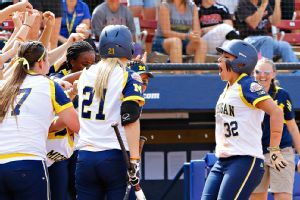 And a single from Kelly Christner moved her to third, Michigan coach Carol Hutchins throwing up the stop sign just as Romero rounded the base. But when Florida shortstop Kathlyn Medina made a terrific play on a hard hit ball up the middle, then took several steps toward second base to try to begin a double play, Romero hesitated at third instead of taking off for home. Kelsey Susalla was safe at first, but the tying run was still at third. "It was a rocket," Hutchins said. "It was going up the middle, and Sierra saw that she's trying to turn the double play, but she hesitated, obviously, for a second because she doesn't want to make the out at the plate. And once you hesitate, you can't go. So ultimately it is the right decision because it was a quick play, bang-bang. They made a great play; give their defense all the credit in the world. Their defense is fantastic. "When I saw them [try to] turn the double play, I was yelling 'Go,' but it was too late." Gourley then struck out Lauren Sweet and retired Lindsay Montemarano on a ground ball. Hesitate here and it will cost you. The margins are just too small. Florida didn't hesitate to trust its pitching staff and that leaves Haeger fresh with two chances to win the title. Michigan was in this spot once before and rallied to win the national championship in 2005 with two successive wins. Florida didn't guarantee itself anything Monday. The Gators just put themselves in the best position possible by doing it a new way, their way.